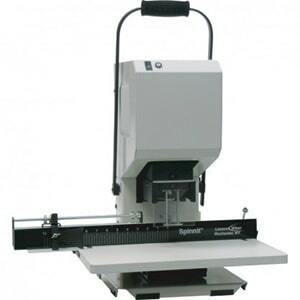 There are several different manufacturers and brand names for paper drills, the most popular in the USA being Spinnit by Lassco Wizer, and Challenge Machinery. 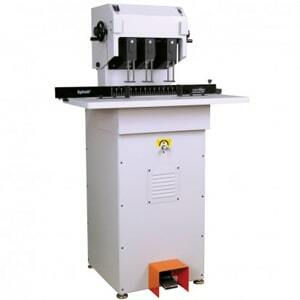 Both manufacturers are world-renowned for their top-quality equipment manufacturing, and produce machines not only in the paper drilling category, but throughout the entire paper finishing line. Learn more about both Spinnit and Challenge below, as well as click to compare the different paper drill models they both offer. 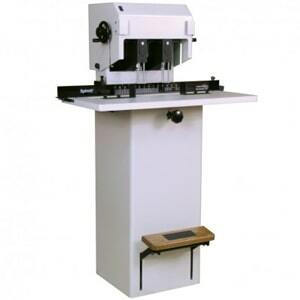 Spinnit is a Lassco Wizer brand of paper drilling machines that includes both desktop and floor standing, industrial-level models. 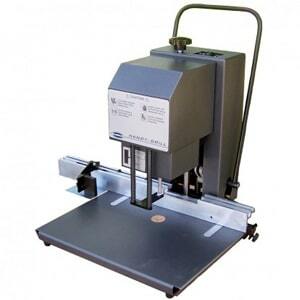 Spinnit paper drills are known for their high quality parts and robust construction. They have a wide selection of machines, some of which are single-spindle, double-spindle, and triple-spindle, which can speed up the drilling process as much as 3 fold. They were also one of the first manufacturers of the easy glide table, making multi-hole drilling smoother, easier, and faster than before. Check out these Spinnit paper drill models below, and click each to learn more. 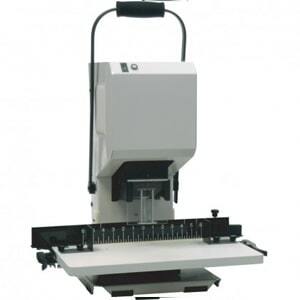 Challenge machinery has a more limited selection of paper drills, but is also known for manufacturing some of the highest quality machines in the world. 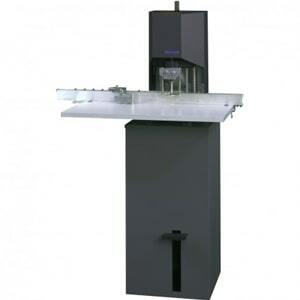 Both of these units are single-spindle paper drills, so will drill one hole at a time, so may not be as suited for high volume and production-level users.